Forest-dwelling animals don’t have to live right by a road, pasture or human settlement to be affected by what scientists call forest edges. Indeed, animals up to a kilometer (0.6 miles) from an edge show a measurable impact from their proximity to areas where trees have been removed to make way for other land uses. In the largest-ever analysis of arboreal vertebrate species — 1,673 species on five continents — an international team of researchers has found that 85 percent are either attracted to or avoid the edges of forests. For 46 percent, the response is positive; edges provide these species with the resources they need to survive. However, scientists are more concerned with the 39 percent that show negative effects. That’s because as intact forested landscapes diminish and become broken into smaller areas, species that prefer the deep woods face shrinking habitats and an increased threat of extinction. The findings emphasize the need for conservation programs to preserve large areas of forestland and prevent them from being divided into smaller fragments. Adam Hadley and Urs Kormann, research associate and post-doctoral scientist respectively in the College of Forestry at Oregon State University, are co-authors of a paper announcing the team’s findings in the journal Nature. Marion Pfeifer at Newcastle University in the United Kingdom is the lead author of a team of 32 researchers from the U.K, North and South America, Europe, Australia, Africa and Australia. The study is the latest showing how the rapid fragmentation of the world’s forests is affecting animal extinctions and biodiversity. About half of the world’s forested acres are now thought to be within 500 meters — the length of five and a half football fields — of the edge of a road, pasture or other non-forest land use. 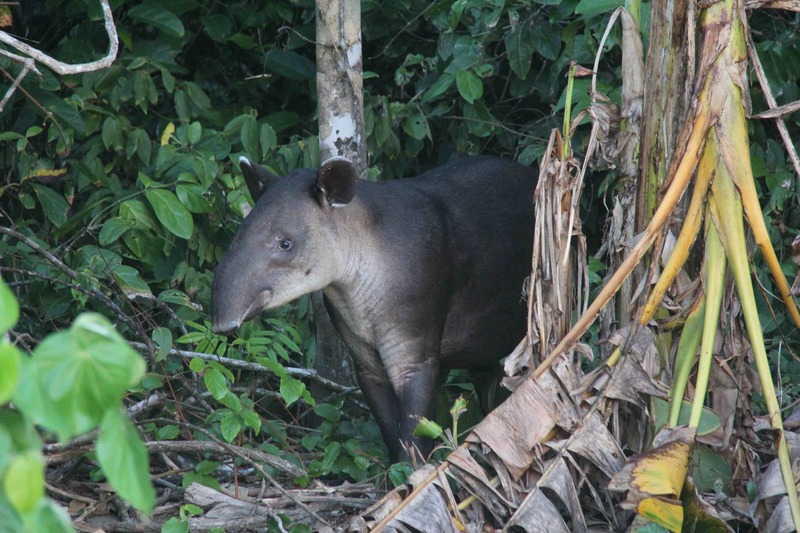 Examples of species that depend on unbroken swaths of forested landscapes include the Sunda pangolin (Manis javanica), the Bahia tapaculo (Eleoscytalopus psychopompus), the long-billed black cockatoo (Zanda baudinii) and Baird’s tapir (Tapirus bairdii). For this study, researchers assembled data for animal abundance across a range of mostly tropical landscapes, from open non-forested habitats to forest edges and deep within remote jungles. For each of the species included in the paper, the researchers calculated two measurements, which they call “edge influence” and “edge sensitivity,” in order to capture the complexity of relationships between species and habitats. Your preservation ethic must be replaced by a conservation ethic.